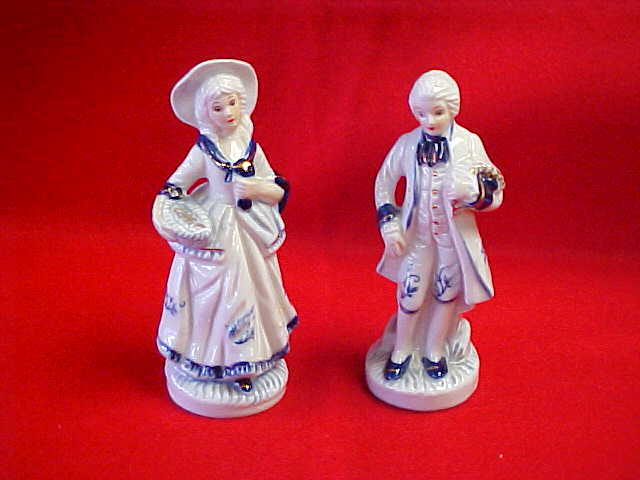 Pair of Victorian Porcelain Figurines. Cobalt blue on white. 6" Tall - No chips or cracks. 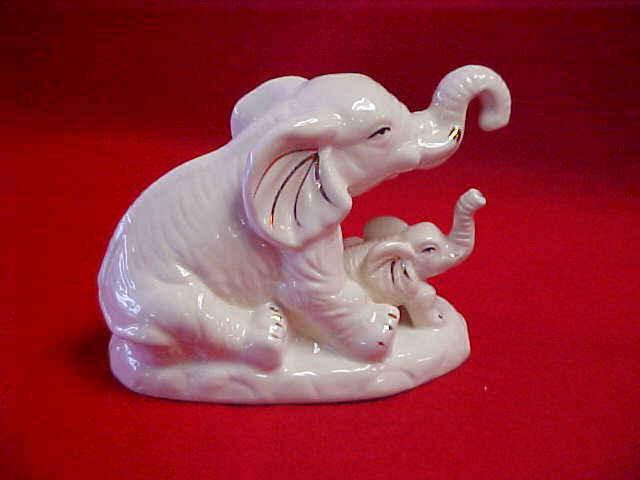 Ceramic elephant statue of mother and baby. A touch of gold highlights. 4 1/4" tall x 5 1/4" wide. No chips of cracks. 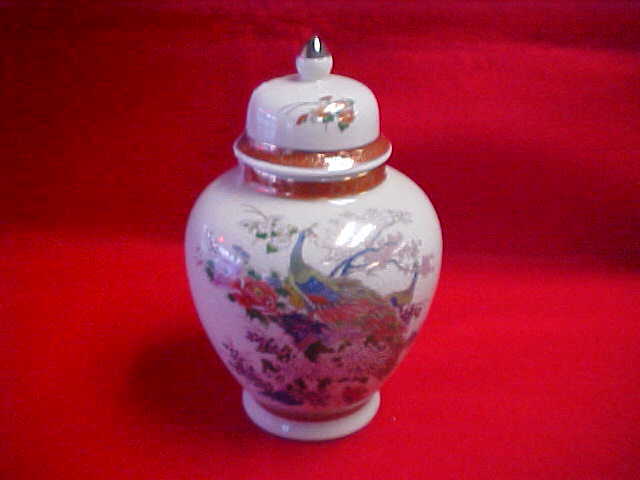 Satsuma ginger jar. Peacock sitting in tree among various flowers. 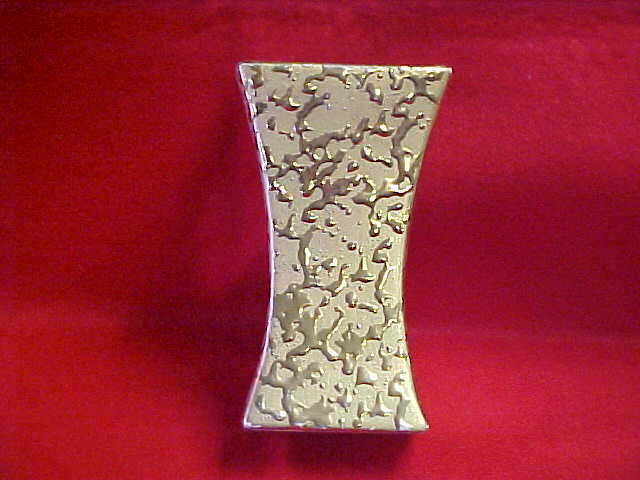 8 1/4" tall x 5" at the middle. There are no chips or cracks. Marked satsuma Japan on bottom. 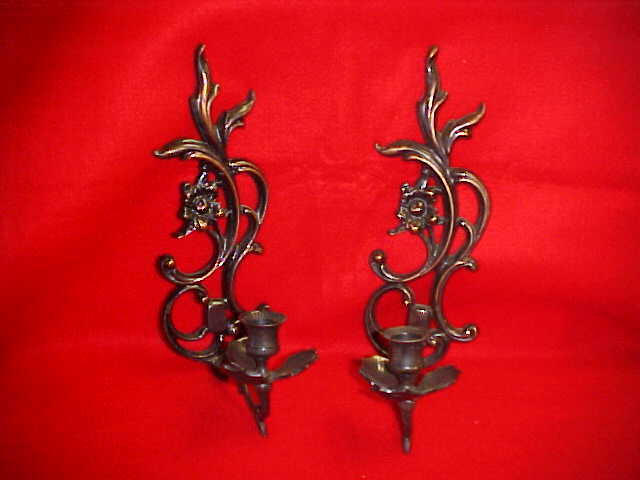 Pair of brass wall sconces. Black over brass with copper highlights. 11" high x 3 3/4" wide. McCoy vase. 6" tall x 3 1/4" at base. Covered in 24K gold. There are no chips or cracks. Marked McCoy on bottom. 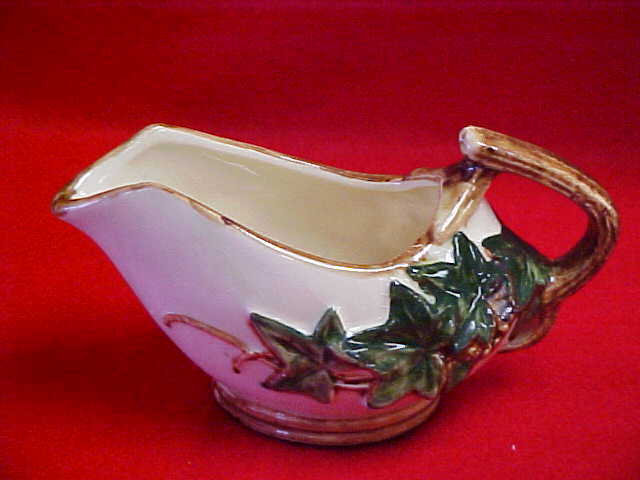 McCoy creamer. Done in the ivy pattern. 3" tall x 6" from spout to handle. Green ivy with brown branches on cream background. No chips or cracks. 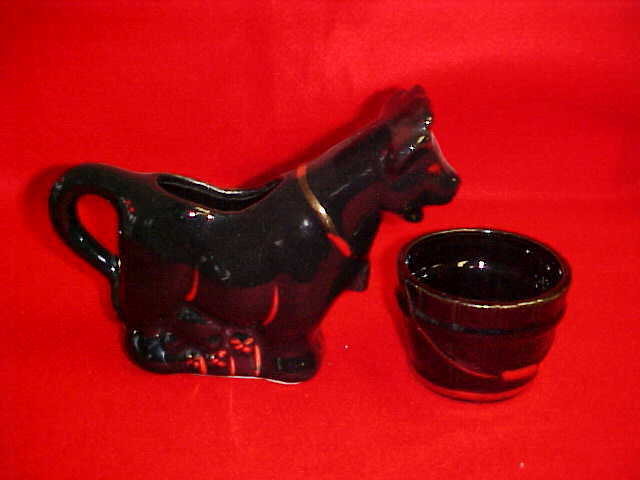 Black cow creamer & sugar with gold accents. Cow is 5 3/4" tall x 7 1/4" wide. Sugar pail is 2 3/8" tall x 3 1/4" wide. No chips or cracks. 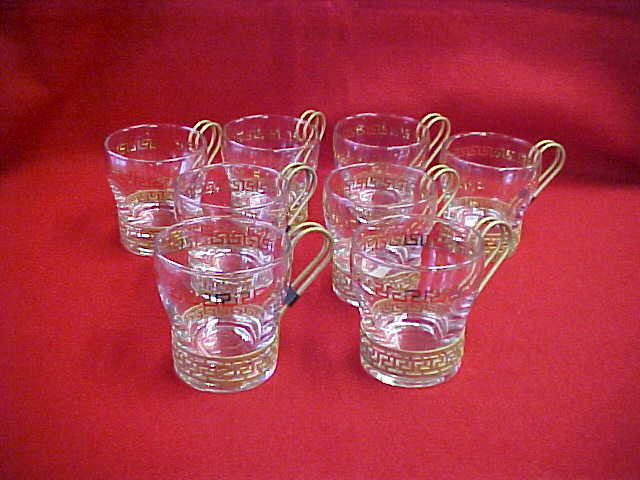 Set of 8 Libby hot tody cups in brass holders with gold Greek key pattern on each cup. Each cup is 3 1/4" high x 3" wide. Glasses are removable for easy cleaning. No chips or cracks.